Has anyone made a Faith inGod packet? I must say I LOVE your tracking sheets & Faith in God! 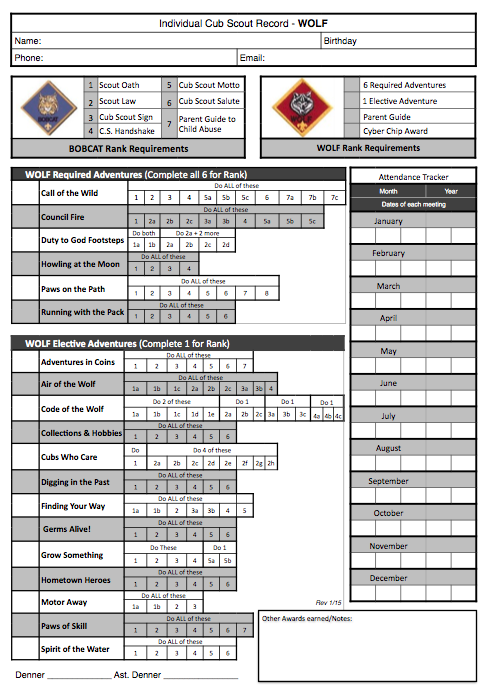 I was so excited to see you had the new Wolf Den tracking sheet. I've been in scouts for 19 years & I always made my own because I could not print them online but your print brilliantly! Now that I'm a committee chair again I'm in charge of getting the info to my dens.THANK YOU for making my calling easier!!! 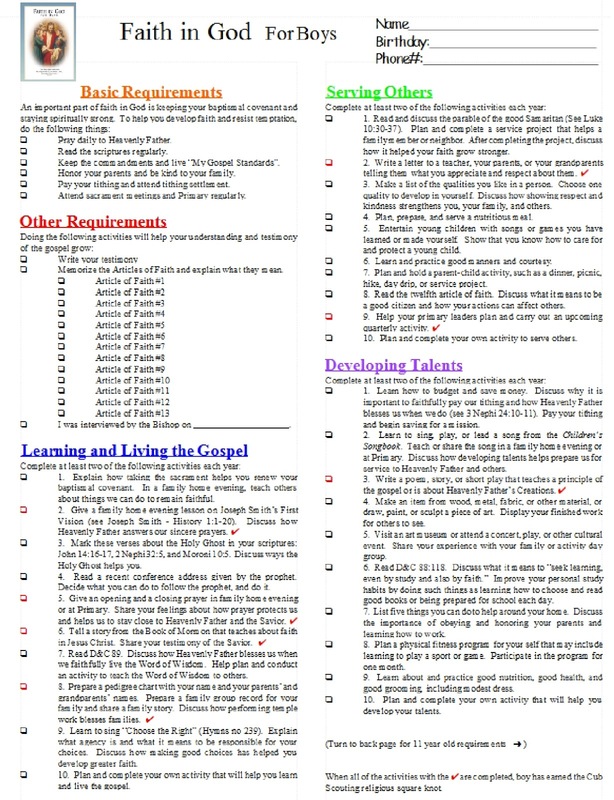 Do you have a sheet that shows how the Faith in God correlates with the new scout program? I have seen one for the old program that showed which things overlapped! Thanks so much! Has no one notice that this is a faith in God for GIRLS packet? Or is the boys one not working for me for some reason? THANK YOU SOOOO MUCH! I LOVE THIS! Thank you so much for this! I am brand new to scouts and was feeling overwhelmed. I wanted things to be organized and easier to track. This is perfect!! Wow, you are so organized! I LOVE IT!!! I was searching for activity days tracking sheet and it lead me to a few websites and this is the best one yet. Thank-you for sharing your talents and saving me a lot of time. I wished I would've known about your website when I was serving in Cub Scouts. I will definitely share your websites with other people. Thank you so much for sharing. This is a huge time saver for our activity days leaders and will help us keep better track in the future.